For some of you, spring might have already come and summer is just around the corner, but here in Canada, the weather has just finally gotten a bit warmer (fingers crossed, it will last). To welcome the late spring, I decided to give my wardrobe a total clean up. 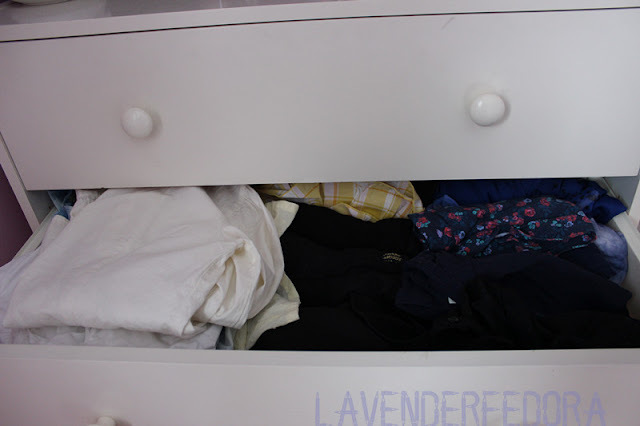 If you are planning to spring (or summer in most cases) clean yourself, I invite you to come along with me and hopefully, this post will give your some helpful organization tips! As you can see, my closet was in a horrible state! 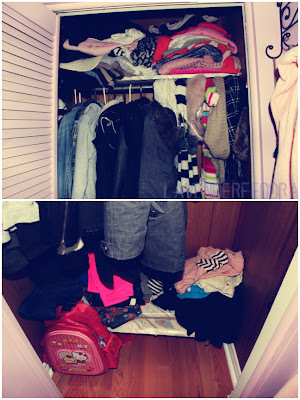 There were just too many sweaters, all the scarf were messed up and the pants were thrown everywhere, a total disaster! I started cleaning form the top down. I don’t know about you, but I like to organize things by taking it all out and putting it back together. So I just pulled out all of my sweaters which definitely took some muscles. 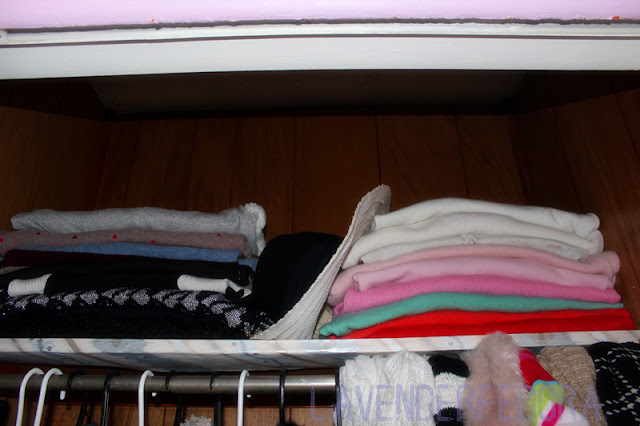 I put away some of the chunkier turtlenecks that I believed will no longer be necessary, then I color coordinated them! Something about arranged colors really make me happy, so color ranging is the way to go! 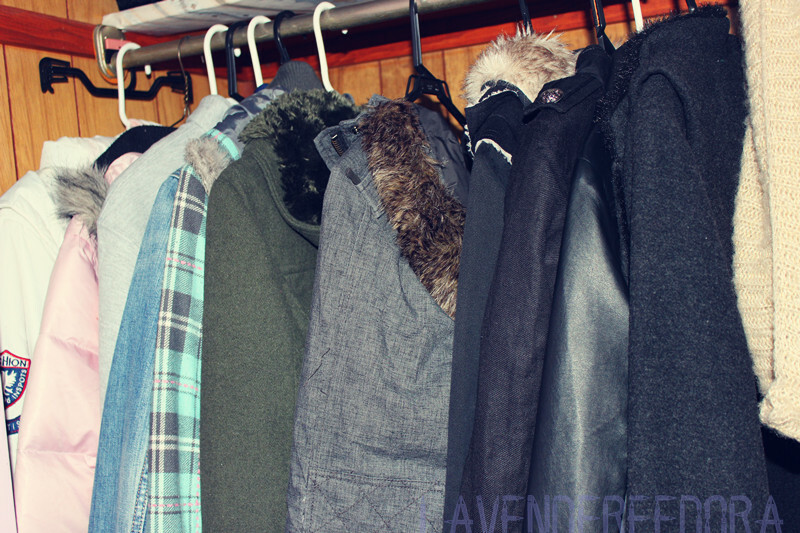 Coats were a lot easier to organize. I just rearranged them by colors, again and since I have too little room and too few hangers, I layer some similar jackets on top of one another! Sometimes, it gives me inspiration on how to layer pieces, which is always a bonus! The bottom shelf was such a mess! I folded all of my pants and on the left, I put all of my basic jeans that I wear often and placed the more wild, crazy ones in the middle and some workout clothes on the right! Voila! 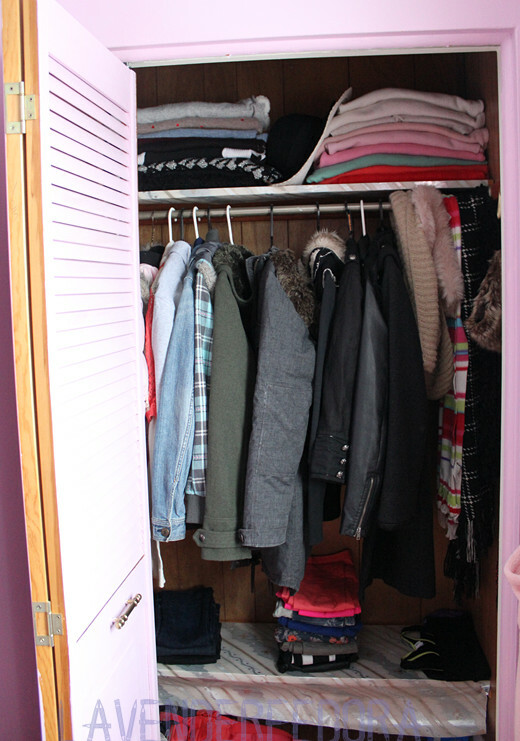 My closet looks so much neater now :) Mission half accomplished! Moving on to my drawers! 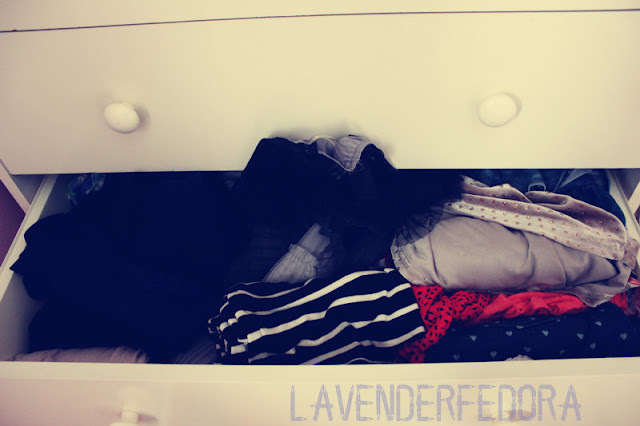 As you can see, my closet is pretty tiny, so I put most of my shirts and other clothing pieces in my drawers. 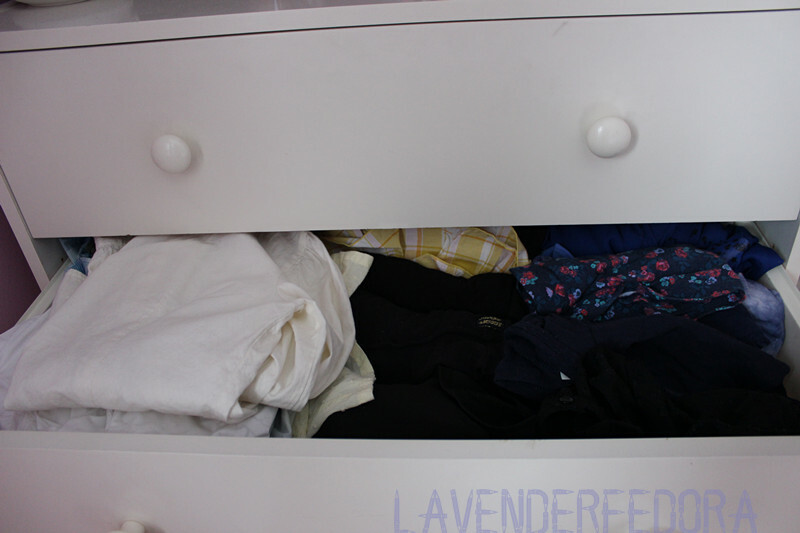 After months without organizing, some of my drawers couldn’t even close properly! LOL Definitely time to give it a makeover! I wouldn’t go into too much detail about how I put them in and all that, but my no. 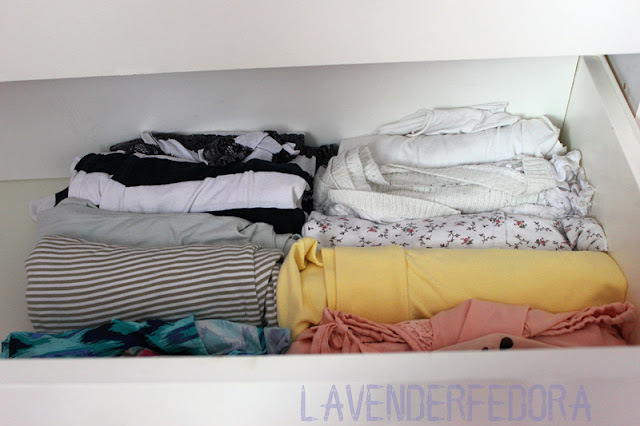 1 tip to organize lots of clothes is to roll them up and again, color range them! 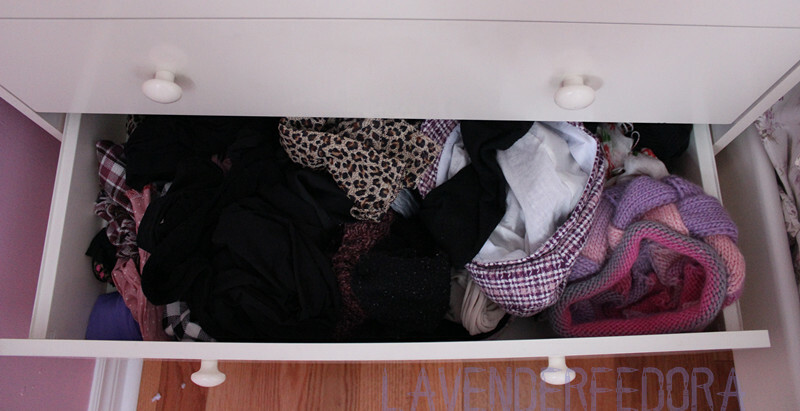 As for my accessory drawer, I roll up my tights and neatly lined them up on the left side. I folded my scarf and piled them on top of one another. All of my belts were rolled up and my hats were put on top of one another. 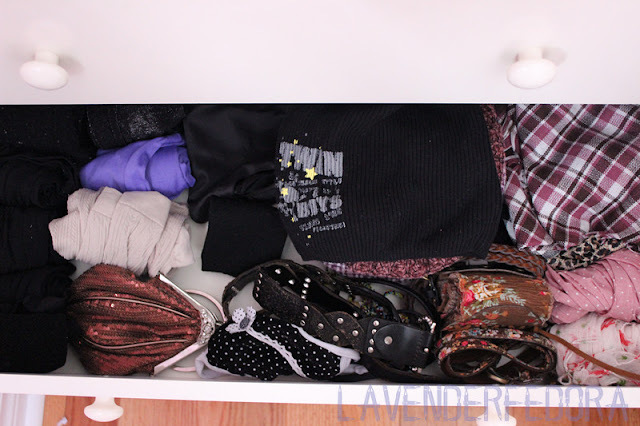 Somehow, all of my accessories took up the whole drawer perfectly. Exactly! Cleaning is good for our soul :P Of course! I just did a major closet purge and feel great!! Yeah, high five! Isn't that amazing!